Found one file extension association related to Microsoft Visual Programming Language and 1 file format developed specifically for use with Microsoft Visual Programming Language. 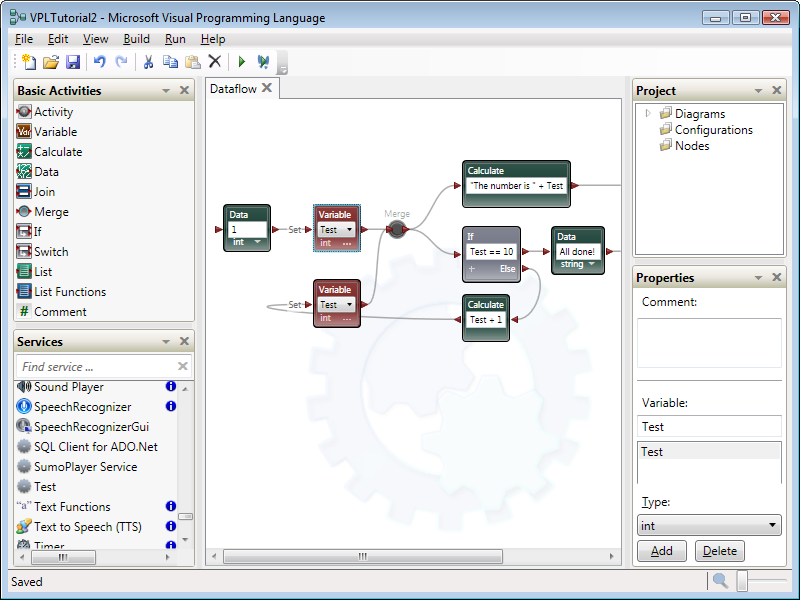 Microsoft Visual Programming Language (VPL) is an application development environment designed on a graphical dataflow-based programming model. Rather than series of imperative commands sequentially executed, a dataflow program is more like a series of workers on an assembly line, who do their assigned task as the materials arrive. As a result VPL is well suited to programming a variety of concurrent or distributed processing scenarios. VPL is targeted for beginner programmers with a basic understanding of concepts like variables and logic. However, VPL is not limited to novices. The programming language may appeal to more advanced programmers for rapid prototyping or code development. As a result, VPL may appeal to a wide audience of users including students, enthusiasts/hobbyists, as well as possibly web developers and professional programmers. If you need more information please contact the developers of Microsoft Visual Programming Language (Microsoft Corporation), or check out their product website.